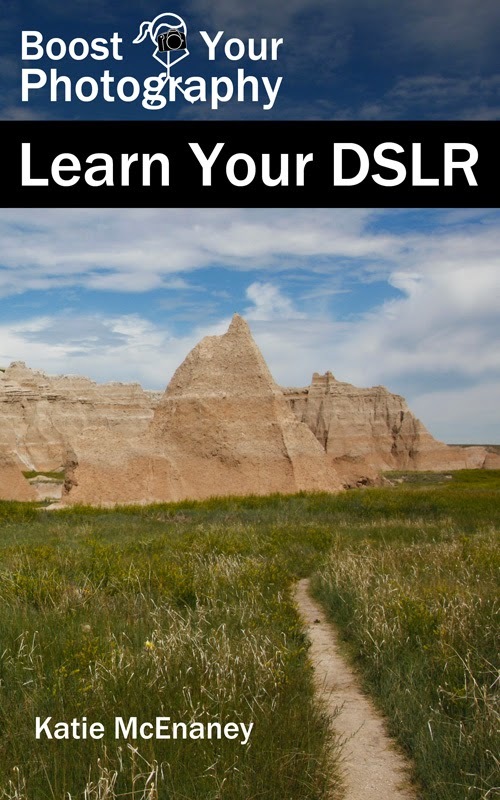 A while back, I started a series called "A Year Ago on Boost Your Photography" that highlighted all the articles written during a given time period on the site (you can click the "A Year Ago" tag to see them all). 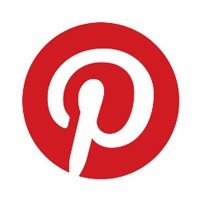 Moving forward, however, I thought it might be more useful to revisit older posts in thematic groupings culled From the Archives. 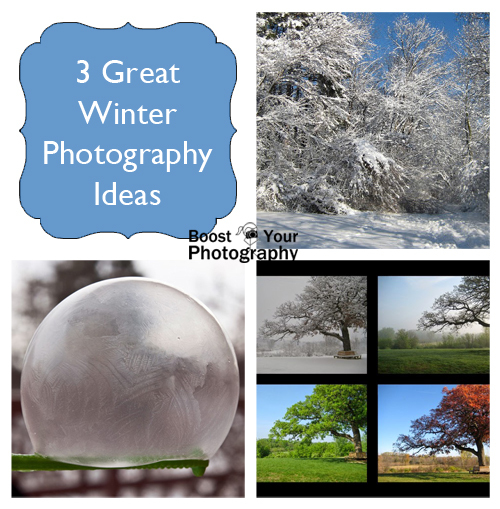 With that in mind, let me share 3 Great Winter Photography Ideas! Winter photography really is all about the snow. But the bright whiteness can make snow difficult for your camera to interpret, and the constantly-changing conditions can make you wonder whether its worth the trouble of getting outside with your camera. 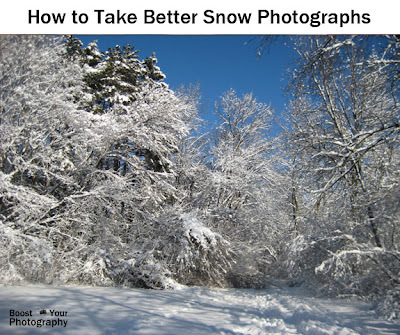 The article How to Take Better Snow Photographs has a huge list of useful tips and advice for capturing incredible, memorable winter and snow photographs - and how to keep yourself and your gear safe and dry! Read up, and you'll be ready to make the most of your next snow day. When life gives you freezing temperatures ... make bubbles! (Save the lemonade for when you're back inside.) 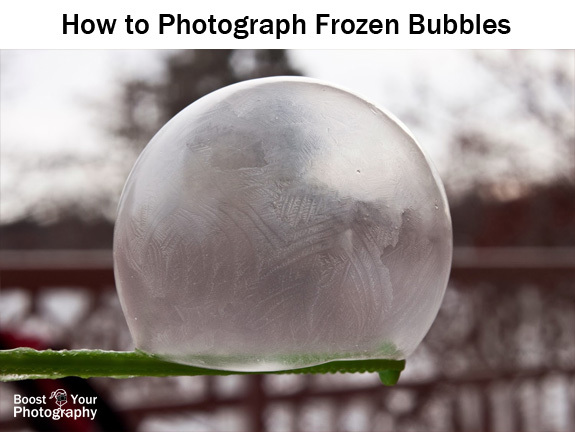 Frozen bubbles took the Internet by storm a few years ago (pardon the pun), and while they can be tricky, bubbles are a great way of making the most of the otherwise unpleasantness of extremely cold temperatures. How to Freeze and Photograph Bubbles walks you through the whole process - the basic ingredients for making freeze-worthy bubbles, the techniques needed to capture them easily, and more. Creating a seasonal collage is a wonderful photography exercise in patience and perseverance. The winter scene is often one of the hardest to capture, so now is a great time to start planning and scouting potential locations. If you can get there in the winter, it makes getting there in any other season a breeze! 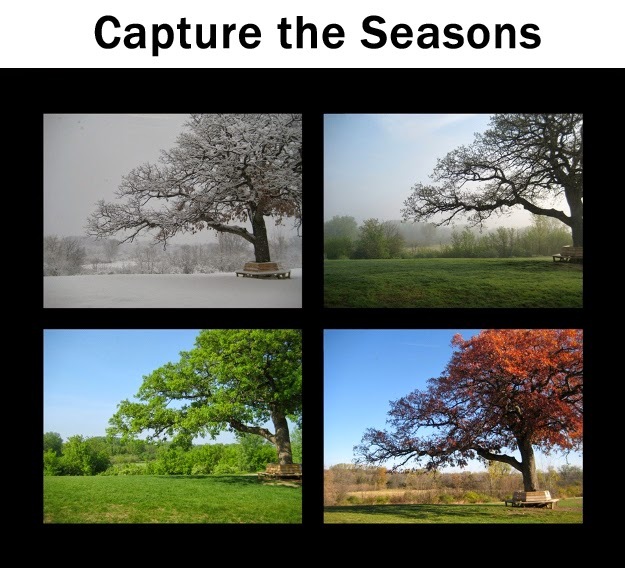 Find out more useful tips and ideas for seasonal success in the article Capture the Seasons: Rephotography. What are your favorite winter photography ideas?